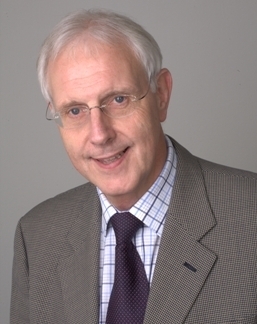 Professor Martin Griffin is the Pro-Vice-Chancellor for Research. For over thirty years, Professor Griffin's major research area has been geared towards understanding the biochemistry, molecular biology and physiology of a group of enzymes referred to as transglutaminases. This group of enzymes is commonly referred to as “protein biological glues” since it can crosslink proteins into stable, high molecular weight structures such as those found in skin, in fibrin cross linking during blood coagulation and in hair. Focus has been mostly on the tissue transglutaminase (TG2), and in particular, the importance of this enzyme in cell death, matrix deposition and cell adhesion and the relationship of these functions to wound healing, tissue fibrosis and scarring, tumour progression and cystic fibrosis. Recent work has also been concerned with the use of transglutaminases in the bioengineering of natural polymers for the development of novel biomaterials used in soft (eg: diabetic ulcers and pressure sores) and hard (eg: bone) tissue repair. BSc Applied Biology 1st Class Hons, University of Salford 1970 (4 year sandwich course). PhD Microbial Biochemistry University College of Wales, Aberystwyth 1974.